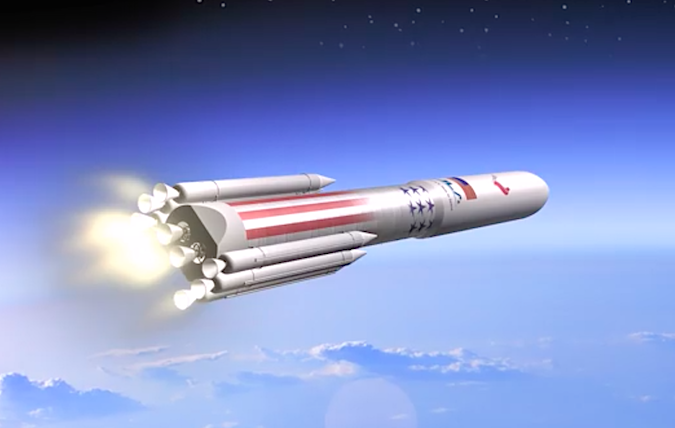 If the engine firings are successful, ULA will likely select the BE-4 engine for the first stage of the Vulcan booster set to begin launching by the end of 2019, according to Tory Bruno, ULA’s president and chief executive. ULA will decide between Blue Origin’s BE-4 engine and the kerosene-fueled AR1 powerplant from Aerojet Rocketdyne, a more traditional aerospace supplier. But the BE-4 is ahead of the AR1 in development, and Bruno said ULA will go with the Blue Origin-built engine as soon as the first series of test-firings are successfully accomplished. Blue Origin kicked off development of the BE-4 engine for its own launcher several years before ULA approached Bezos’s company. 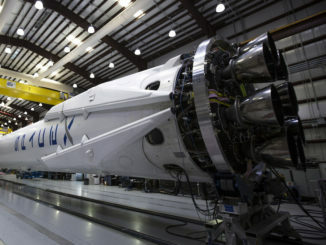 Bruno and Bezos announced the engine partnership in September 2015, a few months before ULA unveiled the name and basic design of the Vulcan launch vehicle. At the time, full-scale testing of the BE-4 engine was expected to begin before the end of 2016. 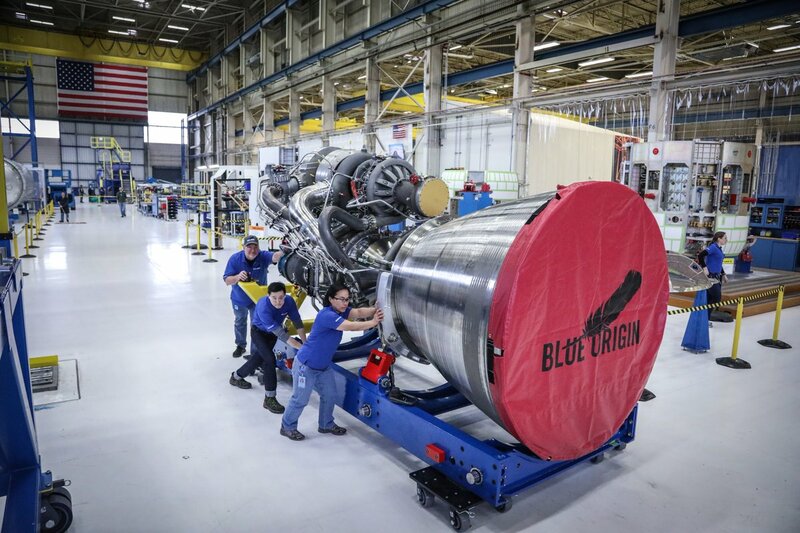 A timetable for the first full-scale BE-4 hotfire test has not been released, but officials from ULA and Blue Origin said the first test engine has been installed on a firing stand at Bezos’s West Texas test facility for final checks. According to Bruno, the hotfire tests will eliminate sufficient risk in the engine’s development to permit ULA to settle on the BE-4 as the main propulsion system for the Vulcan booster stage. Despite a delay of several months in the start of full-scale BE-4 testing, Bruno said the Vulcan rocket is still on track for a maiden flight by the end of 2019 if Blue Origin ends up the winner in ULA’s engine test-off. ULA will introduce the Vulcan launcher in phases, eventually replacing the company’s Atlas 5 and Delta 4 rocket fleets in the 2020s. The first step is developing a new high-power engine to replace the Russian-made RD-180 engine currently flying on the Atlas 5’s first stage, followed by work on a new upper stage to replace the Centaur second stage, which is based on a 1960s-era design. 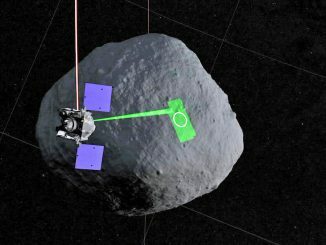 The advanced upper stage will be capable of refueling in space and can generate its own electricity with an on-board fuel cell, allowing it to loiter in orbit for weeks or months to conduct multiple missions as a space tug. If ULA decides on the BE-4 as the RD-180’s replacement, the Vulcan’s first stage will be powered by two of the commercially-developed and privately-funded engines, each generating about 550,000 pounds of thrust at full throttle. The U.S. Air Force last year committed more than $46 million of government funding to partially pay for the cost of accommodating the BE-4 engines on the Vulcan’s first stage. Development of the BE-4 engine itself is a commercial effort, primarily funded by Blue Origin, with additional investment by ULA. Officials have not disclosed the BE-4’s development cost, but Bruno said new rocket engines of its scale have typically cost about $1 billion to design, test, and certify. The Air Force has obligated at least $115 million to the AR1 engine project in a cost-sharing arrangement with ULA and Aerojet Rocketdyne. ULA engineers are designing two versions of the Vulcan first stage in case company managers pick either of the candidate engines. Both engines use oxygen-rich staged combustion technology, a technique that minimizes propellant waste during launch. The BE-4 will burn a combination of super-cold liquified natural gas and liquid oxygen, while the AR1 consumes kerosene fuel at room temperature. In the case of the BE-4, the Vulcan first stage will measure around nearly 18 feet (5.4 meters) in diameter. The wider propellant tanks are needed to hold the BE-4’s methane fuel, which is less dense than the RP-1 kerosene fuel used by the RD-180 and AR1. The AR1 variant of the Vulcan launcher would have a first stage closer in design to the Atlas 5, which has a diameter of about 12.5 feet (3.8 meters). The AR1 engine will produce more than 500,000 pounds of thrust at sea level. Aerojet Rocketdyne says the AR1 is the lowest-risk engine option for the Vulcan and offers the fastest path to end ULA’s reliance on Russian engines to send U.S. military payloads into orbit. 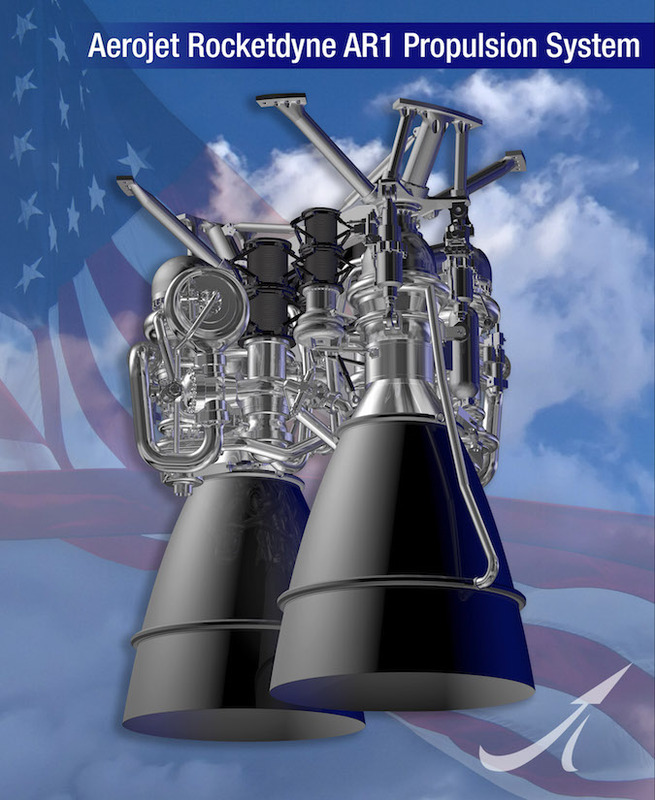 Both engine candidates are designed to cost less than similarly-sized U.S.-made rocket engines, such as the RS-68 engine on the Delta 4 rocket and the reusable RS-25 engine built for the space shuttle and now being modified for NASA’s huge Space Launch System. ULA launches the lion’s share of U.S. national security satellites, but its hold on the military launch market has loosened with SpaceX now allowed to compete for Pentagon launch contracts. Bruno said the both versions of the Vulcan will have a lengthened first stage to hold more propellant, taking full advantage of the power of the twin BE-4 or AR1 engines, which will deliver over a million pounds of combined thrust, higher than the 860,000 pounds of thrust from the RD-180 engine. Blue Origin kicked off the design of the BE-4 engine in 2011, and ULA officials previously said the BE-4 development schedule was about two years ahead of the AR1’s timeline. Bruno said Blue Origin originally intended the BE-4 to produce about 400,000 pounds of thrust. The engine was initially conceived for Blue Origin’s own orbital launcher, now named New Glenn. Blue Origin agreed to increase the power of the BE-4 for ULA, Bruno said. The head start and steady funding stream from Bezos, who is now ranked as the second-richest person in the world, give the BE-4 an advantage in the competition with the AR1, Bruno said. “Normally, when you’re developing an engine, you start testing at a relatively low-scale — 10, 20 sometimes 25 percent — and you test components, then you jump to full-scale,” Bruno said. 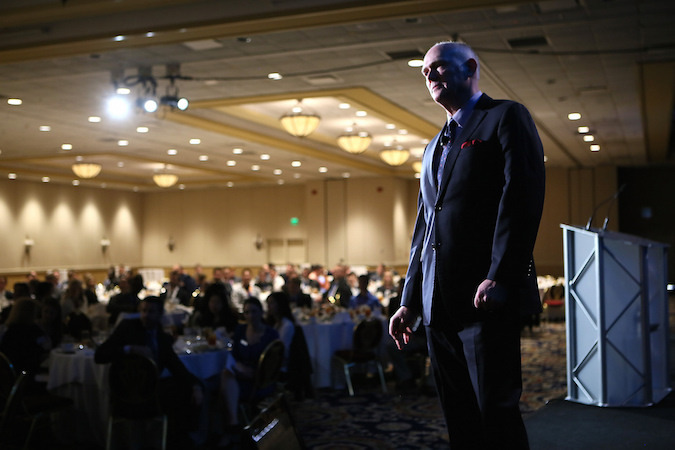 “Blue was already developing this engine for their New Glenn vehicle when we entered our partnership. The AR1 engine’s development got a “cold start” when ULA started working with Aerojet Rocketdyne, Bruno said. “They’re still at the sub-scale component level,” Bruno said. “They’ve been testing their preburner, which is like a miniature version of their main engine’s combustion chamber that powers the powerpack, so they’ve been testing that and other components. “Both of them are doing fine, but they just happen to be in different places on those development timelines,” he said. 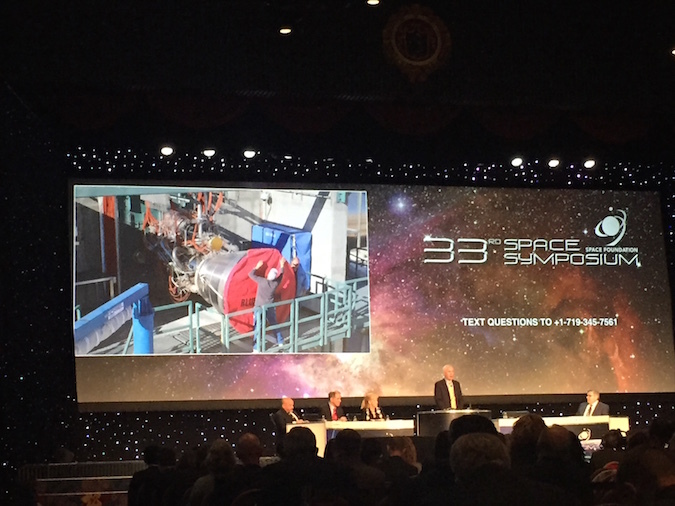 Meyerson said the BE-4 engine can be recovered and reused up to 100 times. Seven BE-4 engines will propel the company’s heavy-lift New Glenn rocket into space. Engineers contend the methane fuel used on the BE-4 makes it easier to reuse than kerosene-fueled engines like the AR1 and SpaceX’s Merlin powerplant, leaving less soot and other contaminants that might need to be cleaned out between flights. In an update emailed to news media last month, Bezos said Blue Origin’s engineers installed new hydrostatic bearings inside the BE-4 turbopump to replace traditional ball and roller bearings, reducing contact between engine parts between startup and shutdown as the the pump produces 70,000 horsepower from a turbine spinning at 19,000 rpm. ULA plans to begin recovering the Vulcan’s BE-4 engines, if they are selected, around 2024 using a giant parafoil that can be plucked out of the sky with a helicopter. The first stage structure will crash into the ocean and be discarded. ULA officials say their approach salvages the engines, which represent about 70 percent of the cost of the first stage, without reserving fuel and adding steering and landing mechanisms for flyback maneuvers like SpaceX’s Falcon 9 rocket. “The notion of booster recovery has been around for a long time, as well as things like single stage to oribt, which implies recovery, so I think it was a great accomplishment, and I had total confidence that they would get it done,” Bruno said. The BE-4 is, by far, the most powerful methane-fueled rocket engine ever built. That adds to the importance of the upcoming ground test campaign in West Texas, according to Bruno. The first sequence of BE-4 hotfire tests will tell engineers if the engine has any such hiccups at startup.